The annual list of the highest-paid actors in Hollywood was recently released. As well as noting the shocking sums made by the biggest earners, Robert Downey Jr, The Rock and Bradley Cooper, there was also a fair amount of coverage of the fact that Channing Tatum had fallen out of the top ten - a shocking fall from grace from his second position last year. 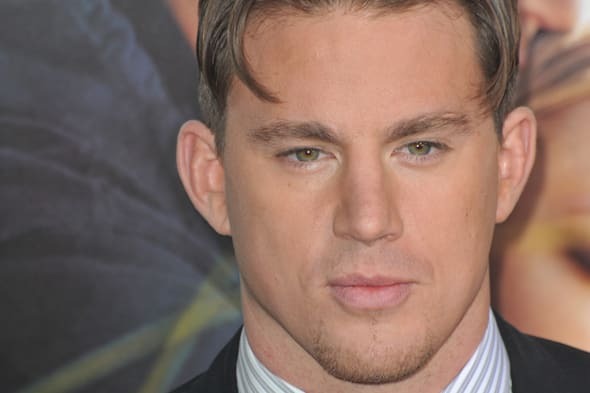 Before last year, Channing Tatum was a rising star, appearing in everything from action films to romantic weepies. However, this wasn't where his major payday came from: it was behind the scenes where he negotiated his enormous pay cheque. Tatum wrote the script for Magic Mike, partly based on his own experiences when he spent eight months as a stripper. Instead of taking the movie to a studio to manage the money end of the business, he and director Steven Soderbergh self-financed the movie - which was made for just $6.5 million. The pair only had to pay Warner Brothers to distribute Magic Mike, and the film ended up taking more than $167 worldwide. Much of the rest of the profits were split by Tatum and Soderbergh. As a result, in 2013 Forbes estimated that he made $60 million, putting him in second place on the list of biggest earners (after Downey Jr). Will be be back in the top ten? Tatum continues to be a major box office draw, and has since starred in a range of hits from 22 Jump Street to Foxcatcher. His star is ascending, but in the last year he has made more critically acclaimed films and fewer blockbusters - and the level of pay that comes with those kinds of decisions mean he hasn't made it back into the earnings stratosphere again yet. It is only a matter of time, however. He has shown that he's perfectly capable of making three or four movies a year, he's the face of the GI Joe franchise, and he is said to be on the radar for the next X-Men movie. By 2015 he could be in the top 10 on traditional pay packets alone. In the meantime, he has said he is working on the sequel to Magic Mike. There's no news on whether he will finance the project, but he's likely to be in a position to negotiate hard over his pay. Meanwhile, he plans to leverage the Magic Mike brand as far as he can. He has a Broadway show in the pipeline, and plans for a bar in New Orleans, which has the potential to become a franchise. It wouldn't be the first successful food and drink spin off to come out of a movie. The Bubba Gump Shrimp Company restaurants were inspired by the 1994 film Forest Gump, and have the same parent company as Paramount Pictures. The brand now has dozens of restaurants around the world. All this means that while Channing Tatum's brilliant financial decision made him a fortune in 2013, it has the potential to make him even more money in the near future.